It is always possible for anyone, even a "great" artist to address others or represent them visually without viewing them "from on high". This is not the case in Human Flow, the ambitious documentary about the global refugee crisis that Ai Weiwei directed in 2017, and which was first shown at cinemas in Barcelona last spring. Philosopher and art historian Didi-Huberman launches a fierce critique, which also serves as a profound reflection on social and political engagement in art. What we have here is an internationally recognised artist, Ai Weiwei, attempting to take a look at the situation of migrants around the world. This is undoubtedly one of the reasons why newspapers and even dictionaries still define him as a "political", "activist" and "dissident" artist, despite a commercial strategy similar to that of his colleagues Damien Hirst and Takashi Murakami, and his notable position in the art market (two and a half million dollars at Christie's in New York for Map of China in 2016). Here is not the place to address the figure of Weiwei himself, his biographical record or the aesthetic qualities of his work in general. To begin with, let us try to understand, since he has taken this "look at the situation of immigrants" in his film Human Flow, simply try understand how he has taken that look. And what this gesture says about himself, in his relationship with others, in other words in his relationship with the refugees filmed around the globe. There are different ways of taking a look. One is to lean towards someone or something, which involves a (downward) movement of the body, the back, the head, the eyes. Which could all extend into a movement of the hand, reaching out, giving or attempting to take, and (why not?) creating a media reality through the movement of the camera. Clearly such a gesture generates all at once an aesthetic focus, an epistemic vision and an ethical relationship. In The Gay Science, Nietzsche aimed to discuss what he referred to as "the breadth of the moral element" inherent in each of our gestures: this is revealed, according to him, in the way in which we decide to move towards someone. It even emerges when an image of something or someone is generated: "We immediately build the image we initially see with the help of all our prior experiences, and always in accordance with our degree of probity and fairness. Even within the sphere of sensitive perception, the only experiences we have are moral ones." The mere gesture of bending down to take a look and of creating an image would then both be tied to a certain "degree of probity and fairness" in the person who so acts. 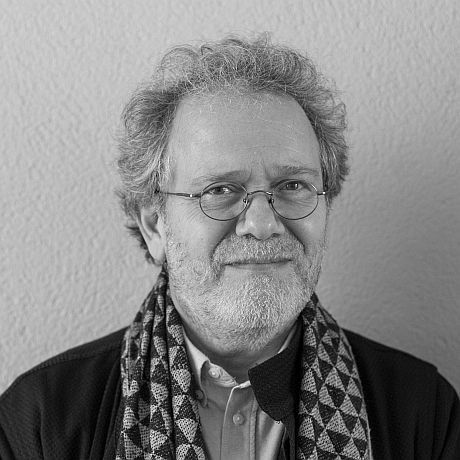 A film should in this regard, in particular a film made up of images that are to "take a look at the situation of refugees", therefore be understood as a gesture of image, which to a degree reveals the question of this probity or fairness: it is, then, a gesture that is both ethical and aesthetic. In the best possible case, it would be a gesture to restore others in the very best documentaries, ranging from László Moholy-Nagy and Luis Buñuel to Wang Bing and Harun Farocki. We would do well once again to recall that the oldest meaning of the word "image", in its Latin form of imago, referred in principle to the sphere of law, if not in fact justice, and in any event to "republican" dignity: dignity as a public entity.What, then, do we find here of the dignity that the image could perhaps aim to "restore" to the people filmed, in twenty-three different countries, in the very circumstances of their huge misfortune? Ai Weiwei, Human Flow, 2017, 2h 20 min. Original quotation: F. Nietzsche, Le Gai Savoir (1882-1887), § 114, trans. P. Klossowski revised by M. B. de Launay, Œuvres philosophiques complètes, V, ed. G. Colli & M. Montinari, Paris, Gallimard, 1982, p. 143. Cf. 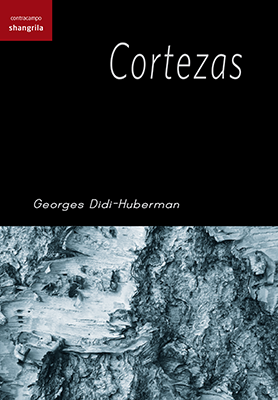 G. Didi-Huberman, Remontages du temps subi. L’œil de l’histoire, 2, Paris, Les Éditions de Minuit, 2010. Pliny the Elder, Histoire naturelle, XXXV, II, 2, ed. and trans. J.-M. Croisille, París, Les Belles Lettres, 1985, p. 38-39. Cf. 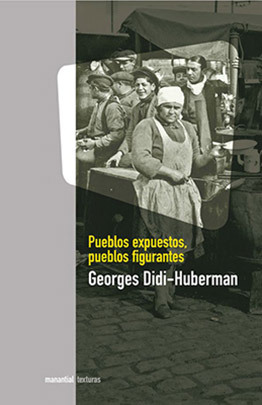 G. Didi-Huberman, “L’image-matrice. Histoire de l’art et généalogie de la ressemblance” (1995), Devant le temps. Histoire de l’art et anachronisme des images, París, Les Éditions de Minuit, 2000, p. 59-83. To begin with, what do images generated from the height of these devices contribute to Human Flow ? The use of drones is so constant and systematic that it has the visual and psychological consequence of flattening everything out from on high, whether the Iraqi desert or the jungles of Bangladesh, along with the hillsides of northern Greece. The imperturbable slowness of the machine, which recalls that of a huge insect rather than a bird, is everywhere, finding its way even into the shells of war-ravaged houses. Often it is accompanied by the same anaesthetic music. It meanwhile suffers from the contrast of brutal cuts which, for no apparent reason, switch from one country and landscape to another. It eventually becomes tedious for the viewer literally to overfly at low level a long trail of migrants heading for Macedonia, before we then hear the perspective of the State apparatus (customs, police, army), specifically on the Hungarian border, with its uncompromising soldiers. The height of the drones' perspective, as with many technical devices, has the consequence of objectifying, dehumanising everything that they film. One inherent contradiction in Ai Weiwei's's film is the presentation of a humanist discourse through such profuse and presumptive, in other words uncritical, use of dehumanising images. The clearest example of this contradiction undoubtedly comes in a moment where, between two well-intentioned words against the refugees ("they are human beings, after all"), a perfectly vertical travelling shot from the sky down to a Syrian refugee camp in Turkey shows the people's movement slightly speeded up, which despite the relative slowness of the travelling shot itself gives us the striking impression that we are approaching a busy anthill. So although we do know that they are human beings "after all", we nonetheless here find ourselves forced to view them, and the speeded up pace indicates the director's intention that this should be obvious, as ants "first and foremost". A little later on in the film the statistical forecast of Africa's population, 2.5 billion people by 2050, is shown against the background of a huge termite hill. The work ends with a montage of a jumble of these drone images from around the world, juxtaposed with words spoken by an astronaut, evoking the sublime aspect of our planet from on high during his space mission. Human Flow also presents its images at the height of words. And much more extensively so than is indicated by the straightforward quote from the poetry of Nâzim Hikmet which appears in the prologue. In fact, over the course of the film a great many quotations are superimposed over the images: ancient Buddhist sayings, Persian poems, excerpts from Adonis, Sherko Bekas (a Kurdish poet), Nizar Qabbani (a Syrian poet) and Mahmud Darwix… But the status of words in this film deserves an appeal beyond these reassuring intimations of poetic or spiritual wisdom. Who, above all, is given a voice? This is the question that must be addressed. The refugees themselves? In truth no: their accounts rarely last more than fifteen seconds, in other words the length of an eyewitness account in any TV news item, which limits their statements in many cases to commonplace or even impersonal observations, about the freedom they desire or the suffering they have borne. Because of this unreserved affiliation with the media and official channels of communication, Human Flow offers nothing of what Gilles Deleuze formulated in his famous address "What is the act of creation?" about the counter-information provided by the work of artists as an act of resistance: "What relationship does an artwork have with communication? None. An artwork is not an instrument of communication. An artwork has nothing to do with communication. An artwork does not contain the slightest information. Meanwhile, there is a fundamental affinity between an artwork and an act of resistance. In this case it is connected with information and communication as an act of resistance. [...] Counter-information only becomes truly effective if it is (as by nature it in fact is), or it becomes, an act of resistance. ... Counter-information is only effective when it becomes an act of resistance." What ultimately happens at the human height? How do the numerous cameras in Human Flow view human beings? What do we ourselves, as the audience, see in this way of viewing? We see soldiers in Iraq positioned in an authoritarian stance above a mass of cowed refugees. We see men and women, silent about their misfortune, pose before the white canvas of a UNHCR tent. We see women speaking hurried and jumbled words to the camera. We see a man crying before the grave of five members of his family. But why so many cameras for so few face-to-face interviews? Above all because in this "artist's film", the idea is to film the artist himself, camera in hand, heading off to assist refugees all round the globe. The true "human height" in Human Flow is seen above all as the staged largesse of an artist engaging in hand-to-hand combat with the world's misery. One could, then, see in this film the account of a great humanitarian pilgrimage of art towards the provinces of misfortune. In short, it is a film "laden with good intentions", and technically supported, technically built for this purpose. It undoubtedly manages to raise its own indignation, to raise ours once again, about the situation currently suffered by the world's refugees. But does this indignation, coming from a dignitary of the world of culture, restore to the refugees the civic dignity they are owed? One might say that the famous artist gives those over whom he casts his glance the same type of dignity by proxy that Angelina Jolie might so kindly give to the starving in Sierra Leone. But it is a quite ingenuous speculation as to the ethical virtues of our showbiz society: as if an artistic aura were enough to "touch" the downtrodden of the earth in order that they might, as through the laying on of hands, recover their dignity as individuals. Let this be quite clear: what is questioned here is not the fact that an art form should take a look at the situation of refugees, nor is the assertion that this should be forbidden. Quite the opposite; the aim is to state that a decision like this, to take a look at refugees, demands the constant reinvention of the ethics of form, to ensure at least that there is no assumption of power over the subject being filmed. It is always possible for anyone, even a "great" artist to address others or represent them visually without viewing them "from on high" (Vermeer and Rembrandt, as far as I know, never looked down from on high like this). Whatever the case, it seems to me that the form constructed and implemented in Human Flow simply lacks both this aesthetic rigour and the "probity" and "fairness" that would result from it. This may be seen above all in the way the artist throughout the whole film frames his self-portrait "with the refugees in the background", or in a number of dialogues where the reciprocity is nothing more than faked. In Lesbos, the artist takes selfies like a star with his admirers. In Jordan, the artist prepares brochettes (or makes a show of doing so). He films the trails of refugees from afar, while a picturesque camel is seen in close-up. On another occasion he buys from a travelling fruit seller, and seems to check his change. In Idomeni, he walks for three or four seconds through the mud, speaks with someone on the other side of the fence, is thrilled by the image of a kitten on a mobile, films while walking over some emergency tents, shows an interest in his own shadow, and lastly pretends to exchange passports with a refugee, suggesting that he go and live in his studio in Berlin… The polite, or ironic, reply of the refugee: “Thank you, really thank you”. The artist replies with an expression that his own gesture ultimately contradicts: “I respect you”. And so on successively: here he has a haircut (in close-up); there he helps a woman to throw up (there is a bucket to hand, or perhaps prepared in advance); on another occasion he encroaches on the space of a weeping man grieving his family; in Beirut, he walks along the street, accompanied by two soldiers who protect him; in Gaza he is filmed "on his own" on the beach, filming the sea, and then goes off to dance with the Palestinians; in Kenya, he would have us believe that he is lost, alone with his camera, in the middle of a sandstorm; in Berlin, he has himself filmed while filming migrants lined up as if for a military inspection; near Ciudad Juárez he talks to an American policeman, has his hair combed by a Mexican living in poverty, and takes selfies with his wife. On another occasion we again see him filming himself with a protest placard against his chest: “Stand # With Refugees”, as if it were his declaration alone. Written above the slogan in great big capital letters is: “AI WEIWEI”. He is aware that for some considerable time now, since Duchamp, since Warhol, an artist is to begin with a person who signs things, and his signature is worth something. There is undoubtedly a good intention in the attempt to place this value of art at the service of a whole underprivileged population because they are deprived of certain fundamental rights. In the general context of the considerable concern shown today by artists and intellectuals as to the situation of refugees, which unfortunately has led to a considerable increase in photographic and cinematographic studies of the issue, what makes Human Flow distinctive lies in the fact that, aside from its privileged media resources, the value of art ultimately occupies a central, and even fundamental, role. There are, of course, crucial artworks produced at certain moments in history, and one could even say that Ai Weiwei has done more than Picasso, who did not travel to Guernica. But the value of art is not in itself a policy. In conclusion, all we see in this film is an act of abstract charity: nothing more than alms placed by art in the hands of refugees. "If people save us, we feel humiliated, if they help us, we feel lessened," wrote Hannah Arendt in Nous autres réfugiés, a text written after her own experience of being kept in French camps and her own stateless odyssey. It is the fundamental sensation of indignity felt by a refugee when forced to say "thank you, really thank you". And it became a leitmotif of Hannah Arendt's political writings about the problem of refugees, stateless persons and society's outcasts in general. When she was exiled to Paris in 1935, Arendt declared that the problem of refugees would never be resolved through any "charitable institution": "Of course those without money need to be helped. But money cannot in itself resolve the problem of the displaced." In 1941, in an open letter to Jules Romains, she highlighted this "desperate question: can we really only choose between enemies who wish us ill, and condescending friends?". The same year, Arendt wrote with powerful anger that "the existence of a people", or its survival when forced to flee persecution, "is too serious a matter for us to consider leaving it in the hands of the wealthy… because only a people itself is strong enough to forge a true coalition".Who was she referring to with that expression "the wealthy"? She meant, both specifically (addressing American Jewish organisations) and in general (within the context of a political theory), the moral "good intentions" of benevolent gestures offered always from on high. She referred to "benevolence" seen from the perspective of the "lesser of two evils", which, as we know, never comes to any good, and in terms of principles, a depoliticisation of the misfortune suffered by so many peoples over the course of history. It is what Arendt called in 1944 a "benevolence machine", the consequence of which is to "stifle the desperate cries of the oppressed", forcing them to make do with the never-ending “Thank you, really thank you” towards the powerful. Refugees, now as well as then, need much more than mere charity or benevolence. The benevolence of giving them refuge in Europe, it need hardly be said, does not only offer positive actions. It is often a benevolence on terms that suggest that there is a concealed aim of watchfulness and rejection. And so the benevolent form adopted by Ai Weiwei, juxtaposed with his images of watchfulness captured by the drones, does nothing more than reinforce the view from on high, that freezes refugees in a political impasse. Refugees, though do not need us to turn their skewers of meat for them, to pass them a bucket to be sick in, or pretend to give them an artist's studio in Berlin. All they ask for is to be viewed as equals, in other words, to have a civic and legal status that the general principles of our democracies carved one day in marble, but only in marble. An artwork addressing this question should not be a work of charity: it should aim to accuse, delve, publicly poke its fingers into this historical wound. In short, conduct itself in a critical manner. Cf. specifically E. Alexandropoulou (dir. ), No Direction Home, Atenes, Rosa-Luxemburg-Stiftung, 2016. 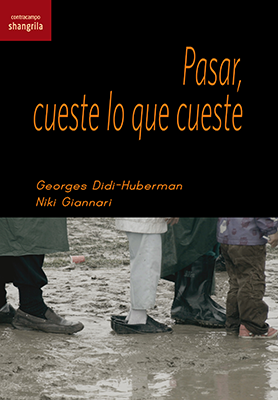 G. Didi-Huberman & N. Giannari, Passer, quoi qu’il en coûte, Paris, Les Éditions de Minuit, 2017. H. Arendt, “Nous autres réfugiés” (1943), Écrits juifs, trans. S. Courtine-Denamy, París, Fayard, 2011, p. 425.